It’s no secret one of the nation’s top political junkies tunes into The Macdonald Notebook. Brian Mulroney has been a paid reader since last year. 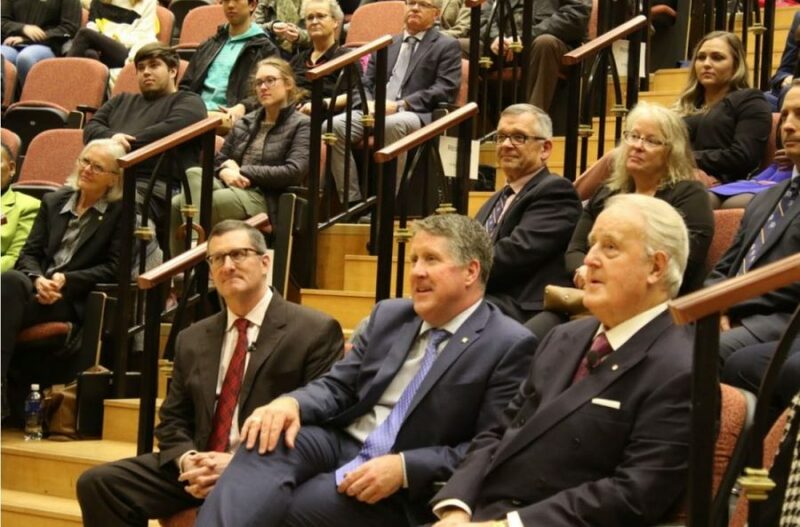 In the Gerald Schwartz Auditorium at St. FX last fall are, from left, Fen Osler Hampson, author of Master of Persuasion: Brian Mulroney’s Global Legacy; St. FX president Dr. Kent MacDonald; and former PM Brian Mulroney. Photo by Brendan Ahern/The Macdonald Notebook. Normally, I do not name my subscribers, but I do share Notebook reader endorsements and when you have a former Canadian prime minister reading you, well we think that is mighty neat. Last weekend, in a chat with the former PM, he wanted to renew his subscription to The Notebook even though its expiry date does not come up until this summer. “I hope your business is going well. You can renew my subscription now and you can send the bill,” Mulroney tells me. Speaking last weekend to The Notebook from his Florida seasonal residency in Palm Beach, I asked Mulroney whether he was going to visit Palm Beach’s most famous resident, Donald Trump. Mulroney, who was preparing to go to a pre-Super Bowl Party last weekend, quipped that he thought Trump was off golfing. He might not go out of his way to meet the president who scrapped Mulroney’s beloved North American Free Trade Pact. 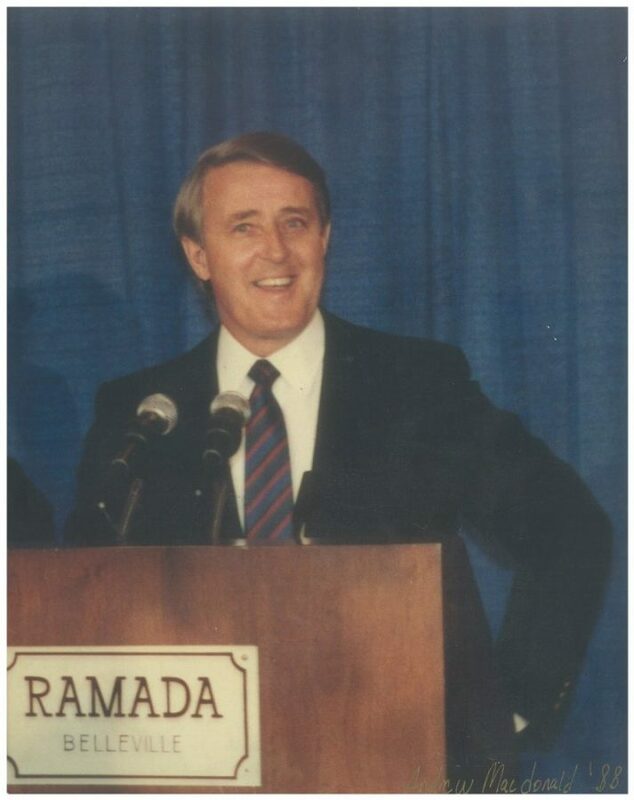 Mulroney ran the 1988 election campaign on free trade, while Liberal leader John Turner strongly opposed the pact with America. Former Halifax Liberal MP Mary Clancy, who defeated Mulroney cabinet minister Stu McInnes in 1988, later told me that Mulroney’s free trade pact was a brilliant policy move which greatly benefited Canada and Atlantic Canadian exporters. Clancy now writes an occasional Opinion column for The Notebook, along with Tory Chad Bowie and NDPer Mat Whynott. The Macdonald Notebook is turning two years old on March 17, and each weekend, we generate over 1,000 visits to our popular Inside Politics & Business and Cultural Affairs journalism website. Not, yet a Macdonald Notebook Insider? Then check out the issues on our Sample Button, and see the type of media news scoops we specialize in. In the last two years, we have written 1,500 news articles on Top Business Scoops, offering Inside Political Coverage, and writing about Cultural Affairs in Nova Scotia and Prince Edward Island. You can subscribe securely on our Subscribe Button on our website. We are priced affordably at $3.50 per weekend, the same price as a good cup of coffee! 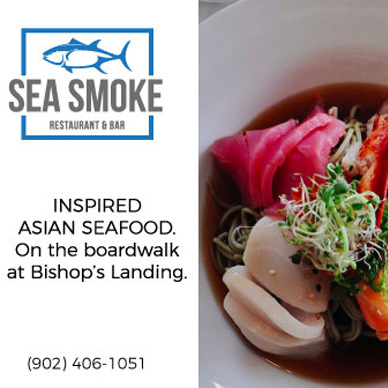 At The Macdonald Notebook, my team of writers in Halifax, the South Shore and in Charlottetown, as well as myself, believe in the power of word of mouth advertising. Erin O’Toole, a former federal Tory leadership aspirant: “The movers and shakers read you, Andrew”. Victoria Hines, realtor, Royal LePage Atlantic: “Your news is addictive”. Chris Lambie, Halifax Herald toiler and one of the foremost Halifax journalists of his time: “Andrew, your newsletters keep getting better and better. Congratulations on carrying your energy for reporting to a platform of your own”. Robert Zed, chair, Triangle Strategies, Halifax/Toronto: “The Macdonald Notebook nails it, every edition, every time. Andrew you’re a great story teller and journalist of hard facts and informative well researched news. I am happy to continue to support and promote your great leading edge news and The Notebook. I look forward to your great coverage. Congrats”. The Macdonald Notebook reader endorsements! Subscribe securely to be in the news loop, see our Subscription button!